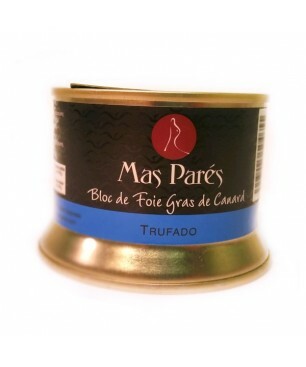 The foie gras block nature Mas Parés is a exuisite product with a soft texture and intense in flavor. 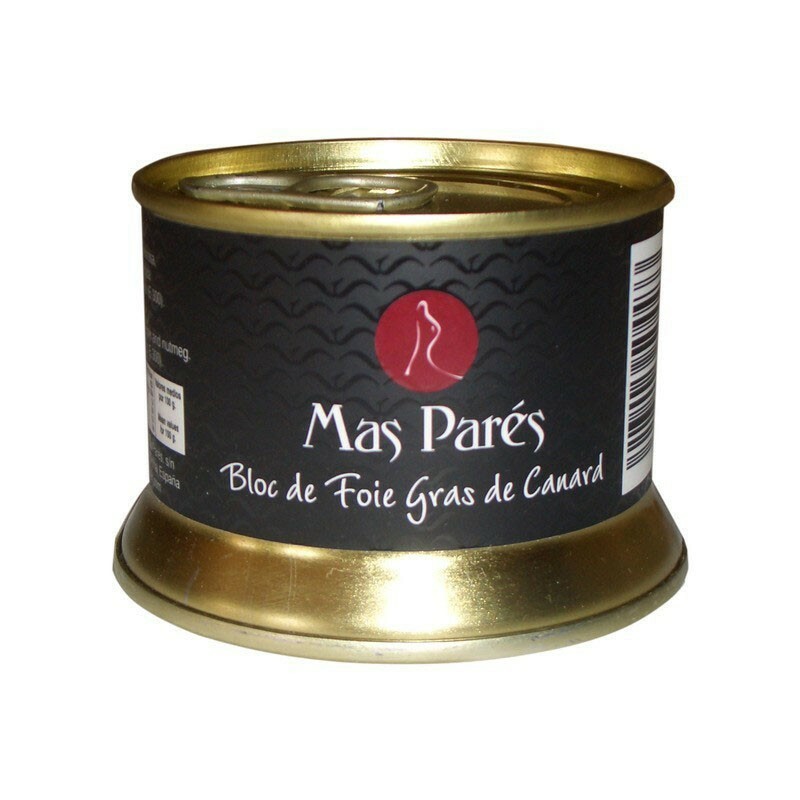 Made from carefuly selected duck liver, it contains a high content of minerals like iron and vitamin B and thee is no need for cold storage. We recommend: To serve this product cold as an aperitif with thin toast, it is also used to coock with meet or to make risotto. It combines perfectly served with cold cava. Ingredients: Foie gras (98%), salt, dextrose, white pepper and nutmeg. 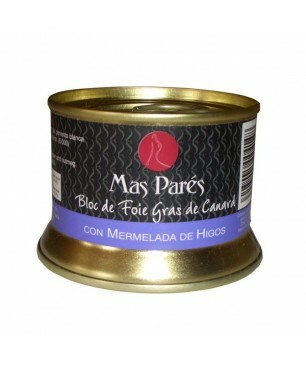 The Bloc of Duck Foie Gras Imperia natural with sweet Pedro Ximenez wine. It contains duck liver from selected farms in Riudellots de la Selva, Girona, .It features a powerful entry into the palate and a stay in the mouth soft and delicate.Its texture and flavor exepcional gives it a versatility in the kitchen and service. The Duck Confit is an ancient recipe that allowed preserve meat for several months. 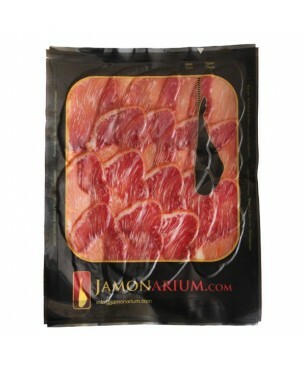 His process consists of confit (cooked slowly in its own fat) to obtain an excellent product. The can contains 2 duck legs. Net Weight: 800 gr. Drained weight: 440 gr.Ingredients: 2 duck legs, duck fat, salt and spice (black pepper). 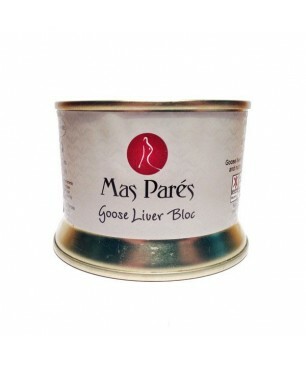 The block Goose foie gras Mas Parés nature is a delicacy for the gourmet palate. The Foie gras goose is a fine product made from goose liver, it is considered a gastronomic delight which is highly prized and valued by gourmets around the world. 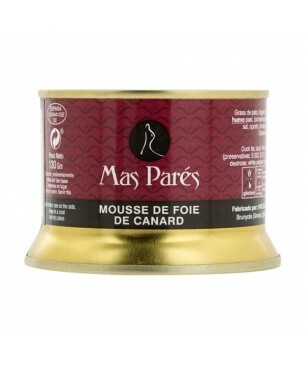 It has a Surprisingly delicate texture, perfect for foie gras lovers. 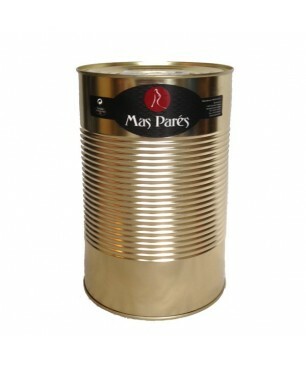 Tin 135gr. The mille-feuille of foie gras with figs is the original result of two outstanding products: fig jam and foie gras.By cutting the foie gras you'll find the fig jam, which is arranged in a layer between the foie. It is ideal as an aperitif or cold starter. The Duck Confit is an ancient recipe that allowed preserve meat for several months. His process consists of confit (cooked slowly in its own fat) to obtain an excellent product. The can contains 10 duck legs. Net Weight: 4,300 gr. Ingredients: 10 duck legs, duck fat, salt and spice (black pepper).